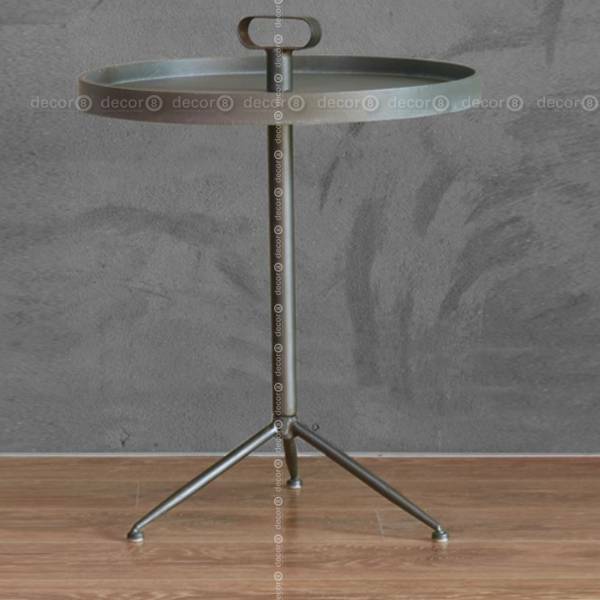 Create a modern, industrial home interior with the Decor8 Calder Round Metal Accent Side Table. This metal side table features a centralized handle that allows for easy and flexible movement throughout your interior. In addition, this convenient handle makes for a great design accent to this retro, vintage inspired side table. The handle is connecting to a vertical rod that extends to a trio of tripod legs creating a vintage, space-aged 60s flair. Add this retro side table aside your living room sofa or in front of it. Between armchairs, lounge chairs or single seat sofas, the Decor8 Calder Round Metal Accent Table is the perfect anchor to bring furniture together seamlessly. In bedrooms, the Decor8 Calder Round Metal Accent Table works well next to bedsides and are perfect places to set aside your reading glasses and smart phone.